hen my wife and I moved our family from the southwestern suburbs of Houston, Texas, to Tennessee in order for me to join Lee University’s theology faculty in fall 2009, one of our biggest long-term concerns was health care. Our former place of residence is home to the world’s largest medical center, consisting of 54 medicine-related organizations. So, whereas one might describe Houston as a great place to get sick, Cleveland has . . . well, it doesn’t have the Texas Medical Center. It was with a profound sense of alarm, therefore, that the events of fall 2013 hit the Proctor household. All parents who deserve the title fear the prospect of a health crisis in their child’s life far worse than any malady in their own, yet that is exactly what happened to Wendy and me that September. At my youngest daughter’s annual checkup, her pediatrician noticed a significant curvature in Esther’s spine and advised us to seek the help of an my daughter’s healing orthopedic specialist. At the conclusion of Esther’s first visit with Robert Madigan, she officially became a scoliosis patient. 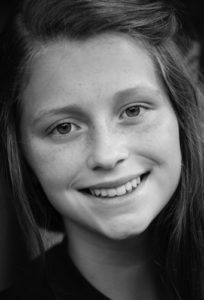 Although her initial X-rays revealed a 33-degree curvature, Dr. Madigan prudently saw past his status as an adolescent surgeon, and suggested we begin treating Esther conservatively by seeing how her back might respond to an orthopedic brace. Dr. Madigan assured us that the skill of his close friend and colleague at designing such braces was unsurpassed, and, as a result, Esther’s backbone wound up in the capable hands of local orthotist Karl Fillauer. Esther’s first appointment with him was in October 2013 at the headquarters of Fillauer LLC, on Amnicola Highway in Chattanooga. Those familiar with the Scenic City recognize this location as a somewhat-less-than-picturesque part of a large commercial business district studded with factories, industrial supply houses, and manufacturing facilities. My parental anxiety over Esther’s initial orthotics visit grew with every bottling company and plumbing supply store we passed on the way to Fillauer LLC’s address. Those kind words, combined with Karl’s subsequent display of clinical precision, convinced me for the first time since Esther’s initial diagnosis that she was in God’s hands and would receive the best care possible. While Cleveland doesn’t have the Texas Medical Center, Houston doesn’t have Karl Fillauer. He is a superb Christian craftsman whose clever inventions have helped him restore mobility and quality of life to disabled vets and afflicted children, whose business savvy has allowed him to expand his several companies worldwide, and whose sense of Christian calling motivates him to do all things “to the greater glory of God.” That first meeting ended with a promise to have Esther’s brace ready in a week. On the evening before Esther’s second appointment with Mr. Fillauer, I scheduled a review session for an upcoming Greek exam. When I first mentioned Esther’s predicament to my students a few days prior, a student named Michael Pierce informed me that in the preceding spring semester he had prayed for one of his dorm mates, who was instantly healed of severe scoliosis. Without telling Michael or the others what I planned to do, I had my wife bring Esther to the School of Religion building on November 3 so my class could pray for her healing. Suffice it to say we had a great time together in prayer that night. I’m happy to report that God had much more ambitious plans for Karl Fillauer’s beautiful brace—plans born out of the countless hours he spends in earnest prayer to God on behalf of his patients in the early hours of every morning. Three weeks later, Esther came to me in the middle of the night in tears, worried that she had broken her brace. Upon close examination, her mother found something surprising. Esther’s orthopedic brace is made from semi-rigid plastic and fits like a clamshell around her torso, fastening in the back with Velcro straps. When Karl initially fit her with it, he left about a two-and-a-half inch gap between the brace’s ends. He told us it would close up a bit due to the shifting of Esther’s internal organs, but we discovered five inches of movement. The brace now overlapped by as much as the initial gap, and therefore she had simply run out of Velcro material to keep things tight. Something had changed significantly. Esther’s brace had not broken, it was working . . . and I believe God was working right along with it. On December 4, 2013—just one month into a two-year process that aimed only to keep things from getting any worse—the X-rays did indeed speak for themselves. What had started out as a 33-degree curvature had now been divinely reduced to only 9 degrees—a number falling just within the “normal” range for the human spine. 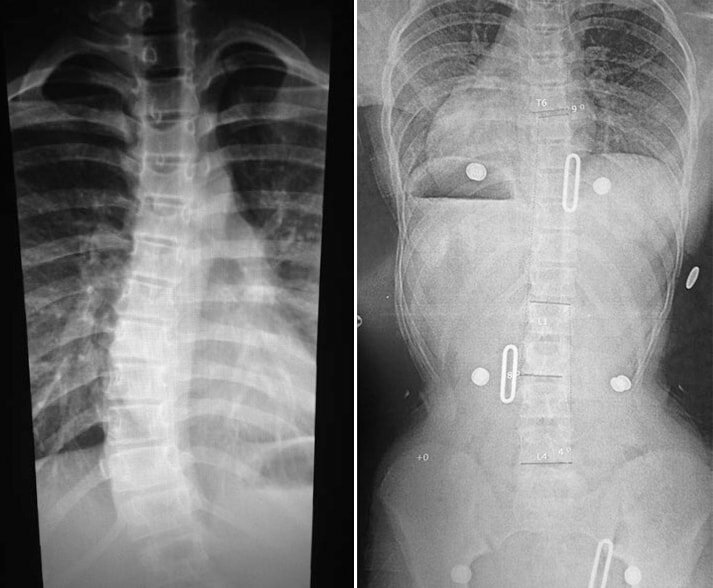 That figure has since fallen all the way to 5 degrees, and Esther Proctor is technically no longer a scoliosis patient. What are we to learn from this story? When your health fails, and it almost certainly will, trust God to take care of you, and He’ll do so in surprising wonderful ways. Follow the example of both the man born blind (John 9) and Esther: Own your treatment, take your medicine, follow doctor’s orders . . . but be sure to welcome the prayers of the faithful and the intervention of the Great Physician in the process. We should not regard God’s wondrous deeds and the cures that the medical community offers as antagonistic to one another. Sometimes divine healing looks both medicinal and miraculous. Mark Proctor, Ph.D., is a professor in Lee University’s Department of Theology.